I had no idea they even made these. 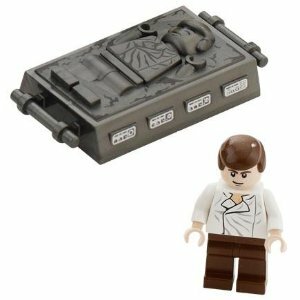 I found this Han Solo Carbonite Lego piece and coordinating minifig on Amazon. Sadly, unlike normal minifigs which run around $3, this one will set you back $25. Pure awesomesauce for the ultimate collector though (assuming they don't already have it). And don't forget to throw the ice cube tray/chocolate mold, iThing case and even the coffee table for extreme carbonite goodness.